Kids will love this Christmas activity that will help kids practice their alphabet through play. 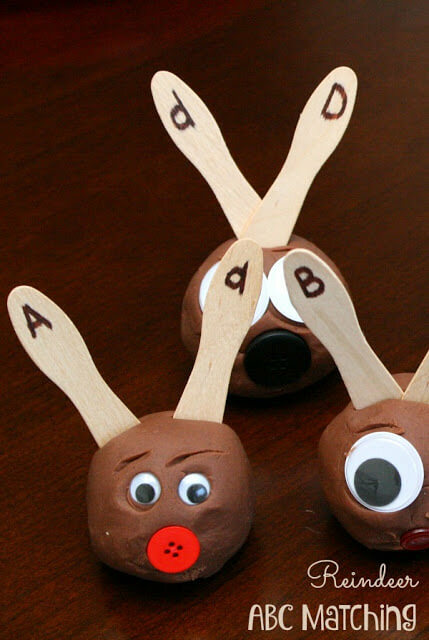 This ABC Reindeer Game is perfect for Toddler, Preschool, and Kindergarten age children. This is such a fun kids activity to help kids practice their alphabet in December. This Christmas learning activity is great fun for Toddler, Preschool, and Kindergarten age children. See the ABC Reindeer Game from Fantastic Fun and Learning.